Hi! 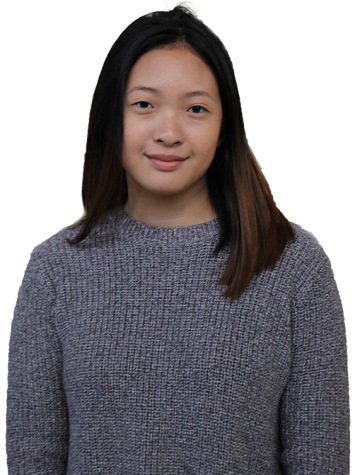 I’m Abby Ong, I am a current senior, and I am one of the two Editor-in-Chiefs to the Dispatch. This is my third year on staff, and last year I was a Feature Editor. I will be working on the In-Depth double truck this year. I look forward to pushing all elements of the paper this year, from design to writing to photography and infographics. As EIC, I plan out various issues of the paper, make sure that staffers are getting coverage, and have an oversight of all the different parts of being on staff. I’ve loved being in newspaper, and I hope to make the experience just as great for all the staff this year. I am also Managing Editor for the Bowie yearbook, The Lone Star. Outside of journalism, I love photography, aerial silks, and traveling! Aside from the places I’ve been with my family, I have also been to several journalism conventions and learned a great deal from them. I have an unhealthy addiction to hot cheetos. I also very firmly feel that Torchy Queso is better than Kerbey Queso, and I am prepared to defend my beliefs.